Long slim handle comes in handy when trying to get out the last pickle, olive, cocktail onion or cherry out of a tall jar with a small opening. Also great for party trays. Although it is called a Pickle fork, it is also great for grabbing a variety of different garnishes that hide in the bottom of the jar. Try it for cherries, olives, pickled onions etc, etc, etc. Made of stainless steel. 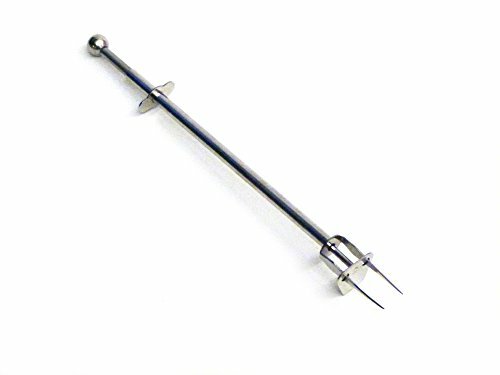 This clever spear has 2 sharp, pointed prongs to skewer your item securely, then press the ball on top to release the captive piece. The long 8-1/2" utensil is perfect to reach into tall jars. The metal rest on the side allows for placement on the table. Pick one up for the kitchen and maybe another for the bartender. Great idea for serving appetizers on a buffet or grab even more for a neat twist on your next fondue party. Serve up mess-free antipasti and olives with scoop and pick. This diminutive design is actually two tools in one. Firstly, the long-handled slotted spoon ensures that you can scoop and drain from even the deepest jars. Secondly, the handy integrated fork is ideal for skewering difficult to serve foods like pickles. Both tools clip together when not in use to ensure easy storage. Dishwasher safe. 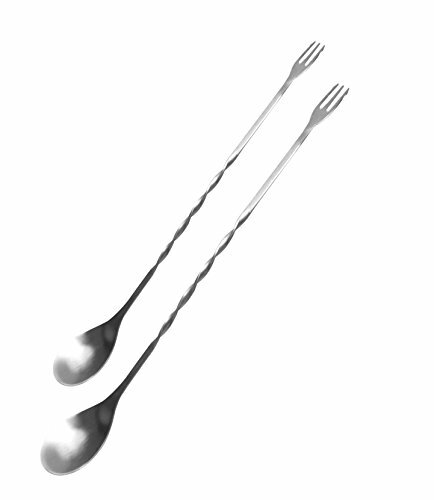 Fork & Barspoon - Trident Barspoon - 12"
Stir in style with our Stainless Steel trident bar spoons. 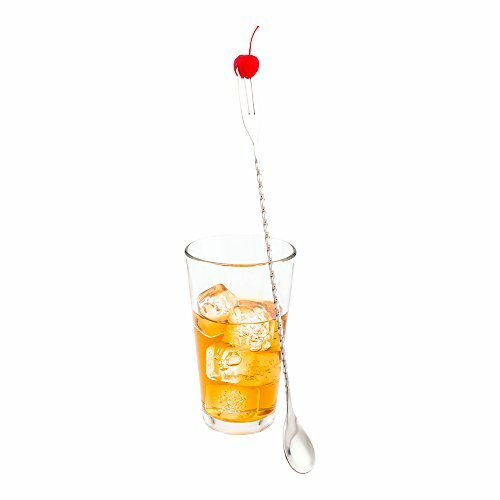 Perfect for combining liquid ingredients and scooping out garnishes like cherries, onions, or olives, these 12 inch bar spoons will help you build and serve craft cocktails, mocktails, and specialty soft drinks. 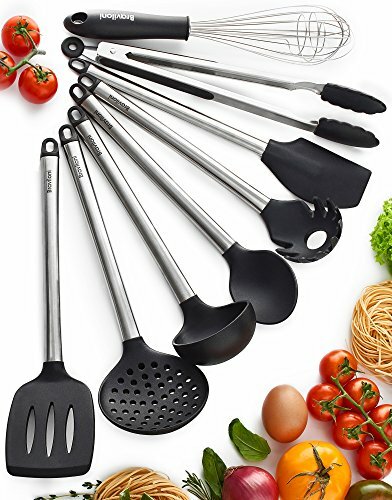 These are a diverse tool since there is a spoon and a fork end, so you can have two utensils in one! 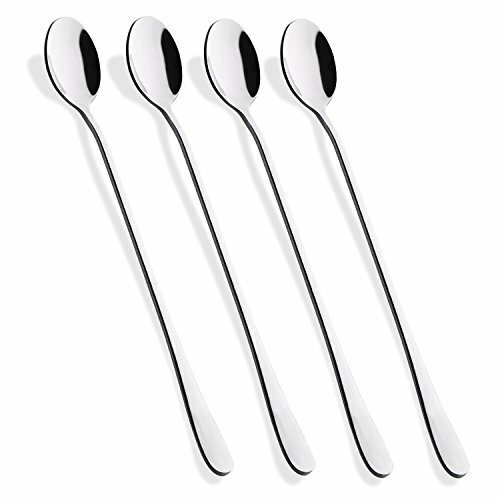 upon ordering, you will receive 1 Stainless Steel bar spoon. We recommend handwashing for best results. Cooking has never been so easy and elegant! This oiled olive wood olive picker is the perfect addition to any kitchen, and treated properly, will serve you for years to come. It will allow you to pluck any olive straight from the jar. Measures 5-7/8-inches long. 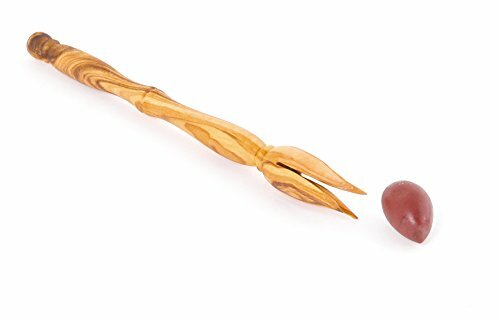 This picker is made from oiled olive wood. Olive wood not only features a particularly attractive grain, it is also extremely hard due to its slow growth. The high oil content makes it water-repellent, non-slip and supple. Redecker olive wood products are exclusively oiled with no further treatment. For maintenance, rinse with water and blot with a towel to remove excess moisture and air dry completely at room temperature. Rub with regular olive or sunflower oil every now and then, and allow to dry. The first handcrafted Bürstenhaus Redecker brushes were produced in 1935. A lot has changed since then. Today, the name Bürstenhaus Redecker stands as it has for many years for an ideal combination of natural quality, function and design. It lives from the blend of inventiveness, sound craftsmanship and creativity. Bürstenhaus Redecker brushes are made of domestic woods, bristles, hair, and plant fibers, and have been for decades. Precedence is given to natural, sustainable raw materials. Bar, Cocktail Spoon with Fork - Gig Tip. How nice to see the natural character in the forks, while respecting the part of the life of a tree went into making it! 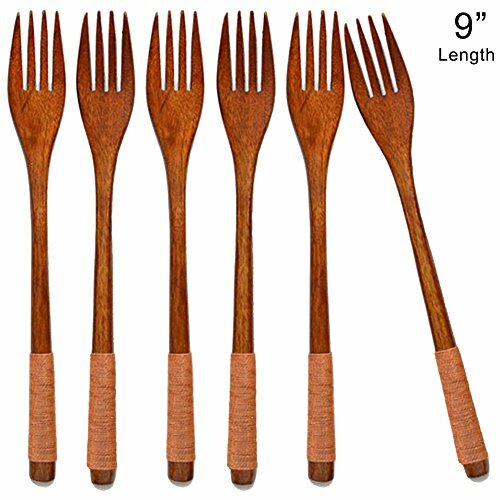 Each Cospring wooden fork is unique since it is a natural product and wood grain varies by year and the tree grows. The fork is lathe-turned from ONE solid piece of hard wood, NOT from pressed and glued pieces. Each fork is manual grinding and hand sealed with natural plant oily finish which is food safe. The making process includes barking, creating, anti-bacterial treatment, anti-insect treatment, drying, polishing, painting, and waxing. There are various wood grain and shades of grey, brown and red that really make the mug unique. They are spectacularly beautiful though, and highly prized for their unique grain patter. The forks would look great on a table. ATTENTION Hand wash with warm soapy water and air dry. Please avoid the wood products being kept in dishwasher, microwave oven, dryer or exposure under sunlight. Periodically wipe with a bit of olive oil, using a towel and wipe off the excess to restore the wood grain to its original beauty when it appears to be drying out. You will have years of enjoyment with proper care. 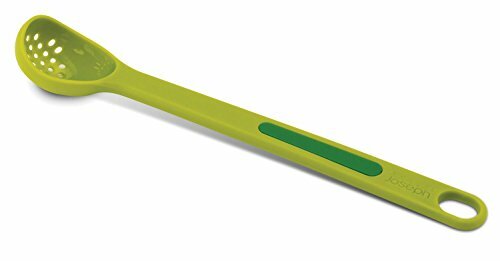 Compare prices on Long Handle Olive Fork at Shopsimal.com – use promo codes and coupons for best offers and deals. We work hard to get you amazing deals and collect all avail hot offers online and represent it in one place for the customers. Now our visitors can leverage benefits of big brands and heavy discounts available for that day and for famous brands.